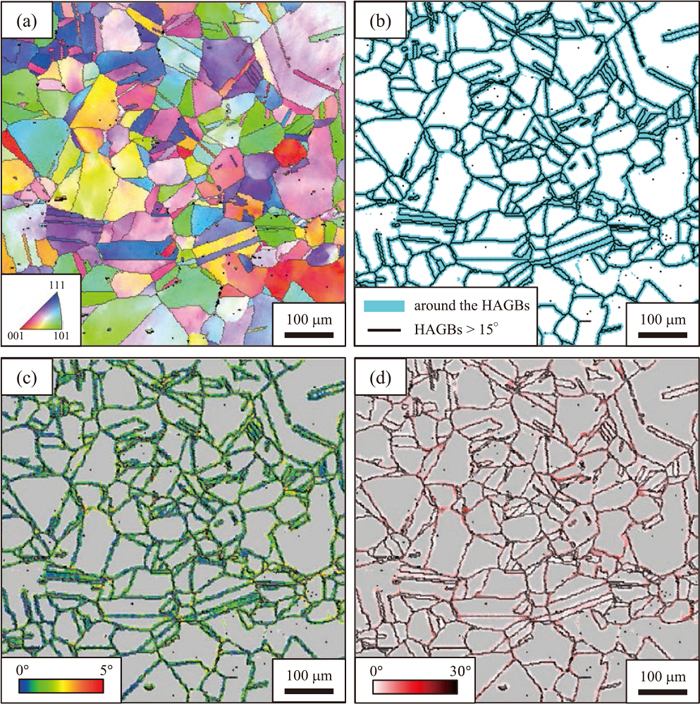 Creep strain in SUS347HTB austenitic heat-resistant steel and Ni-based heat-resistant alloys was evaluated by electron backscattered diffraction (EBSD). Localized crystallographic misorientations in the crept samples were quantified by using misorientation indicators such as kernel average misorientation and grain reference orientation deviation. In most crept samples, the misorientation indicators increased with creep deformation. However, this trend was not observed for alloys with dense dispersions. We proposed a method to extract and evaluate data only near the grain boundary from the total EBSD data. For Ni-based alloys, the misorientation indicators tended to increase preferentially near grain boundaries. Conversely, there was no substantial difference between the misorientation indicators near grain boundaries and the intergranular region for SUS347HTB. Consequently, although it is necessary to limit the region for evaluating the misorientation indicators according to the dispersion density of the reinforcing phase in the materials, the misorientation indicators, such as kernel average misorientation or grain reference orientation deviation, are useful for evaluating the creep strain in face-centred cubic heat-resistant alloys.